I thought Princess Beatrice, oldest daughter of Prince Andrew, the Duke of York, and Sarah, Duchess of York, looked so pretty at Day 3, Ladies’ Day, of Royal Ascot 2015 last month in this Beulah London white dress, requisite hat, orange heels by Gianvito Rossi, and a personalized clutch by Edie Parker that simply says, “Bea.” What a great ensemble on her! Detail of the clutch. Photo by Chris Jackson/Getty Images Europe. 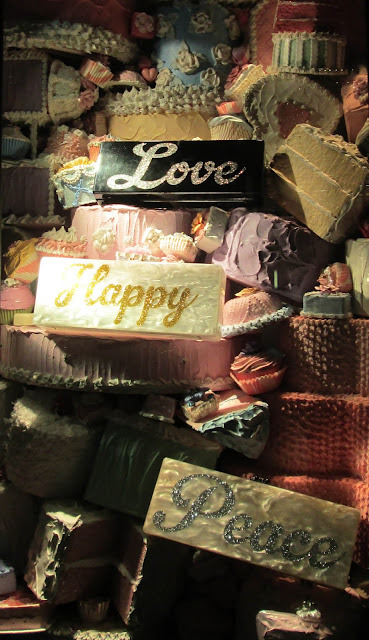 I got pictures of Edie Parker clutches last November in my Bergdorf Goodman holiday windows post. 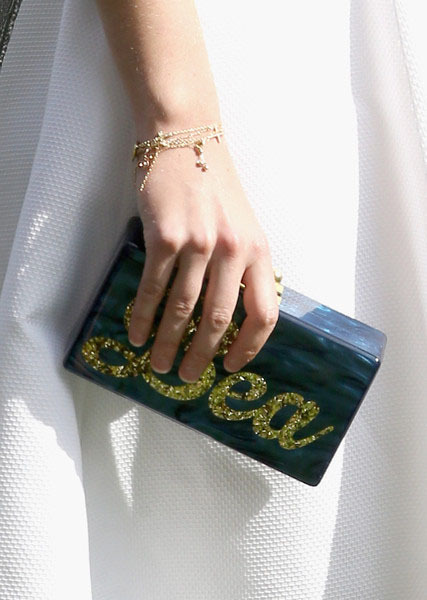 They are lovely and whimsical little bags, how fun for Bea to have one with her name on it! Edie Parker clutches, Bergdorf Goodman, November 2014. I also love Bea’s hat and shoes! Let Bea’s feminine and fresh look featuring a clutch be your friendly reminder that Adrienne and I are focusing on clutches for the July installment of “How I Wear My.” We would love to see what your clutch looks like and how you carry it! Send photos to us at howiwearmy@yahoo.com by July 6, 2015. I've never seen Beatrice look better and count GSL as a big Beulah fan. Feminine and Fresh is just how I like 'em. She's adorable, isn't she? The hat and shoes are lovely with that white dress. GSL, I'm with you, Beatrice has never looked better!